Periodic septic tank cleaning or pumping is required to clear out the sludge that builds up with time from the sewage deposited daily in the tank. The septic pumping job involves dealing with sewage and calls for specialized equipment manned by trained technicians. VAC-TEC LLC. 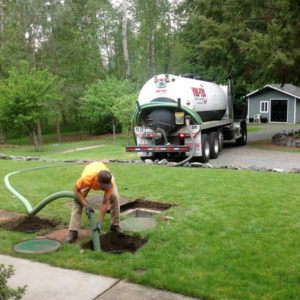 is the septic service expert to hire for septic tank pumping in Issaquah, WA. 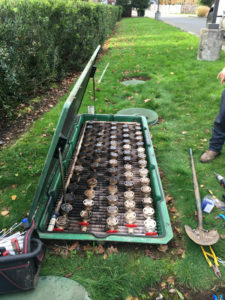 Though septic tanks are designed to last for decades, they do so only when septic tank cleaning is done on a regular basis. However, most property owners forget in their hectic lives all about septic pumping and realize that it needs to be done only when they have sewage backing up into their property. We are also available 24/7 to meet emergency septic tank cleaning needs in Issaquah. Why Should Issaquah Residents Choose Us for Septic Pumping? Whether you are looking for a septic tank pumping service to handle a routine or an emergency job, make sure that you choose the right professionals. 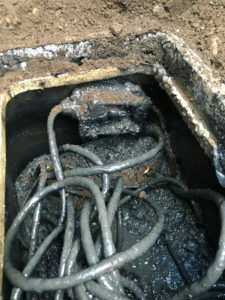 We are the people to call for septic pumping in the Issaquah area. When you entrust us with your septic pumping needs, you can also expect optimal efficiency and longevity from your septic tank system. Rely on VAC-TEC LLC. for septic tank pumping services in the Issaquah area. Call Tacoma – (253) 777-4887 Seattle – (206) 339-0039 Olympia – (360) 338-6686 North Dakota – (701) 566-0045 to discuss your septic pumping needs with our experts.